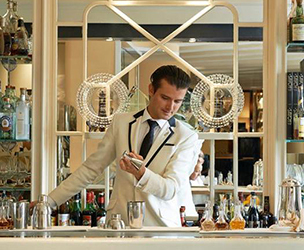 Historically bartenders dressed to serve, with clean white shirts, bow ties, braces and smart black trousers. Creating a sophisticated look and robotic style to all behind the bar. Thankfully those days have almost gone for the majority of bars. Bartenders working in a hot bar, on their feet for many hours will be thankful. 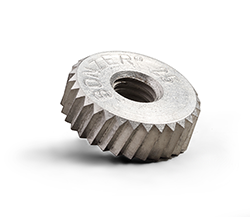 Customers can now relax with out the pressure from an over dressed server looking over them. Many venues restrict their employees to a choice of black or black for trousers, tops and shoes. If it’s black, then you’re fine. Often staff will manage to wear the same faded black trousers, scuffed black shoes and a selection of tired shirts for the duration of the stay at the job. Only thinking about buying new clobber when starting at a new roll and trying to impress their new boss. Bars spending time educating staff to interact with the customers and then ensure their staff fade into the back ground of both venues and in turn the memories of the patrons seems an ironic method. 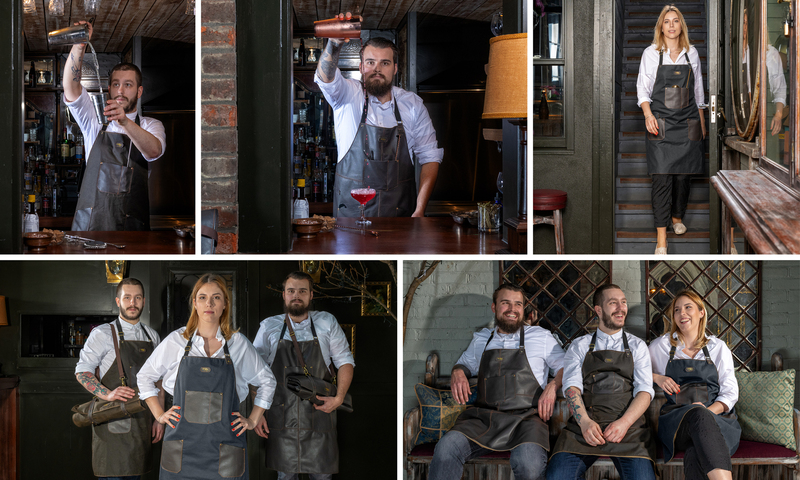 As more establishments serve cocktails lines are becoming blurred between cocktail bars, themed venues and everyday watering holes, so are the fashion trends within their staff. As many bars strive to stand out from the crowd, the crowd expects their server to stand out to them too. 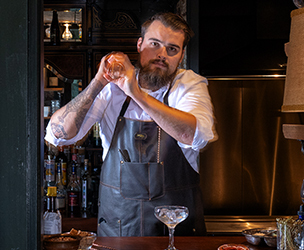 Bars allowing their staff to wear what they want, brings out the bartender’s personality and with it lifts the personality of the bar to a place not seen before. 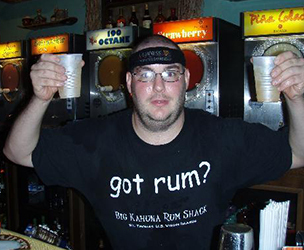 The staff are more comfortable showing their personality off to the customer and is then mirrored within their serves. 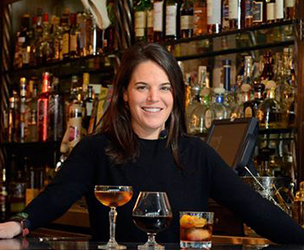 A bartender should look like a bartender, shouldn’t they? Many studies show the moment any staff member puts on a uniform their mind transforms to focus on the job, improves confidence and promotes team work. But how can we do this and let them wear what they want? Simple, provide top quality aprons, built to last and look good for many years. The Bonzer Apron offers obvious protection to the staff and their garments as well as style to boost confidence and performance. Offering the team a chance to wear what they want, whilst promoting a sense of teamwork and belonging to the job is the best of both worlds. The Bonzer Apron is available in Rockingham leather or 2 colours of waxed cotton, sage and navy. All options are available for bespoke branding so company names, brands or personal slogans can be added to finish the look.